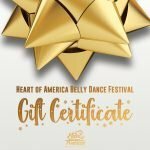 1st Place and People’s Choice performance in the 2016 Heart of America Belly Dance competition. Judges: Raqia Hassan, Aziza of Cairo, and Samia Du. Music Mix: Karim Nagy (Original Om Kalthoum, original techno composition by Karim Nagy). Dancers: Raksanna, Ruth-Ann McEachnie, Karri Soyk, Tracy Mahaljevic, Linda Roberts, Nan Beck, Betsy Zoraida, Sue Wagner, Kim Cassidy (Zerlina Zoe), Renee Castellano, Amira Raqs.